Disclaimer: The product was provided for review. Hey guys, today I have a lovely soap from Lush's Valentine's Day limited edition collection to show you! 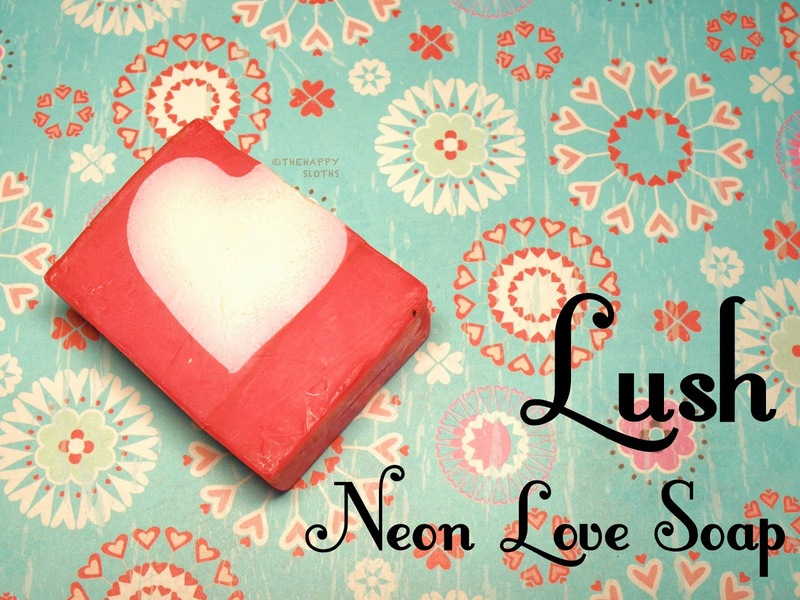 The Neon Love Soap ($6.95 for 100g) is a fragrant soap with a blend of fruit and cinnamon scent. The soap is made of rapeseed oil, citrus oil, fresh passion fruit, fresh figs, and cinnamon leaf oil. The strongest scent that I can pick up is definitely the cinnamon, the soap kind of reminds me of those hot cinnamon candy, mixed with a dash of fruit flavors. This is the second soap I have tried from Lush, the first being Honey I Washed The Kids Soap. Neon Love is quite strange in that unlike ordinary soaps, it's kind of squishy to the point that you can almost mold it into a different shape but otherwise, it lathers just like a normal soap. However, I noticed that the soap does leave behind a protective layer or oils on the skin after use, most likely due to the various oils it contains, so depending on your soap/body wash preferences, you may or may not like it. Finally, as you can see from the photo, the Neon Love Soap is bright pink and each chunk has a piece of white heart embedded into the pink, so it's really perfect as a Valentine's day gift! What do you think? Will you be picking this up? Let me know in the comments below! The Neon Love Soap is available online and in stores now. It is a limited edition product so act quick!